As professional insurance advisers, we want to do more than sell insurance. Our goal is to understand each clients’ individual needs and offer sound solutions. Being an independent insurance agency, we can offer our clients access to policies from the best Insurance Companies represented in our community. We think you’ll find our recommendations to be comprehensive, sound, and competitively priced. You can expect to be treated as a valued client and we encourage you to take advantage of these services. We are concerned with your overall insurance picture - for today and tomorrow. At Davidson & Associates Insurance, high ethical standards and a commitment to integrity are guiding principles. In a world where many doubt whether the “good guys” can win, we refuse to compromise. This commitment to professional integrity has helped us grow a healthy client base and attract new customers. It turns out that others in our industry have been watching. 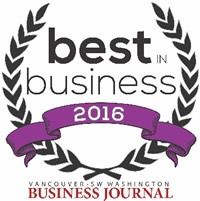 For four years, Davidson & Associates has been awarded the title Best in Business from the Vancouver Business Journal. 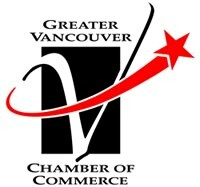 This publication relies on votes from consumers to create a compendium of reliable local business providers. We are honored and humbled by the feedback the journal received from our neighbors, friends and customers. Of course, it’s nice to be recognized. We’re happy to know that someone has been watching as we work to take care of customers and grow our business. But that isn’t the reason we hold to high ethical standards. Integrity isn’t a byproduct of business at Davidson & Associates. It’s the foundation on which we build our agency. For us, customers always come first. We make a point of reaching out to existing customers in order to provide even better service. We aim to educate. We aim to help. We aim to please. Contact us to learn more. We want to "Protect What Matters Most To You"! If you have something you need insured in a state not mentioned above... Let us know, and we will help you protect it! Contact the friendly and caring insurance experts at Davidson & Associates Insurance today! Let us show you why you can trust us to protect what matters most in your life. We are located in Vancouver, Washington, and are also licensed in Oregon, Arizona, California, Idaho, Nevada, Utah, Indiana, Texas, Florida, Tennessee, Colorado, New Jersey, Illinois, Michigan, and Ohio. I experienced a fire in my rental home in Vancouver, WA 6/19/15 Sunday evening… I called Bruce (Davidson) and he responded On-Site within an hour. I love this agency… I switched to them ~6 months ago and what a difference. I have several rentals, a business, cars… Lots of insurance… Bruce has been a rock star… Cleaned up my policies… While saving me Money :) gotta love that. Anytime i call in the staff seems to know me… HUGE difference from my previous agency that always responded with… I will have to look up your information and call you back… You can’t go wrong with this agency, they make you feel like you are truly Family! Davidson & Associates Insurance Agency Inc has been a great partner in running my business. Their expertise in addressing insurance coverage for the different aspects of my sales and contracting company; the yearly analysis of the best quality and price for my personal insurance, and my account manager who is there at the drop of a hat to “make it happen” is what separates Davidson & Associates Insurance Agency Inc from all others. I have been a very satisfied customer of Davidson & Associates Insurance Agency Inc since 1996. When we moved to southwest Washington from California, I had no family or friends to recommend an insurance agency in the area. In California, I used the same agency for 18 years! So I was looking for an honest, reliable, responsive agency that I could trust with all my insurance needs. A woman on my son’s soccer team recommended Davidson; she was a mortgage broker and knew of Susan Chambers of Davidson through a woman’s business group they both belonged to. I made an appointment with Susan and I was impressed from the start! The Davidson team does not oversell. They are honest in their evaluations of your insurance needs. I can email my agent, Pat Spicer, with questions and will always receive a thorough reply quickly! Our own adult children grew up with Davidson, starting with their first auto insurance policy. I have referred many people to Davidson & Associates Insurance Agency Inc Agency in the past and will continue to do so in the future. Thank you for all that you have done, and for taking such good care of us! I do appreciate everything! I have known Bruce Davidson for many years through his numerous activities in the community. So when it came time to review all my personal insurance needs, he was the obvious choice. He helped me plan for the future with life insurance and also handles all of my home and automobile insurance needs. Melissa is my account manager and she was always there to respond to my questions and changing insurance needs, especially as my teenagers got their driver’s licenses. Davidson & Associates Insurance Agency Inc is an easy recommendation for me to make. Going that extra mile is a matter of routine at Davidson & Associates Insurance. We consider their customer service and competence to be a vital part of our endeavors. We first met Bruce and his wife and got to know them personally, learning quickly of their involvement in the community and high integrity. It seemed very natural to go to Davidson & Associates Insurance to have them look over our insurance needs. They were very thorough and were not only able to save us money but also appropriately adjust our insurance coverage. We have worked with Melissa for a number of years now and are always impressed with her quick response to our questions as well as her knowledge and her kind and thoughtful nature. We have had both our children and parents bring their insurance needs to Davidson because of the quality of service they provide. We will continue to refer friends and acquaintances to them in the future. We have been clients of Davidson & Associates Insurance Agency Inc for 20 years. My husband and I have been impressed with their professionalism and responsiveness to our changing insurance needs. The best part is their great employees and we appreciate how they support our community. I have been a client for a number of years in both commercial and personal lines. I have found all of the staff at Davidson’s to be knowledgeable, professional and extremely friendly. Whenever I contact someone regarding an issue they know me and my situation and can recommend a product or action that best meets my needs. I just want you and Davidson & Associates Insurance Agency Inc to know how delightful it is to read in your newsletter about the great community outreach and services that you as a group do! I imagine that not only are you creating greater bonds among work mates but also with the community! It’s very heart warming! Switching from our old auto and home insurance was easy and seamless. Bryce was very knowledgable about options and ensured we maintained a high level of coverage while saving us over $900 a year! We just can’t believe we waited so long to do business with Davidson & Associates Insurance Agency Inc.